It’s funny. You go along on your normal breakneck pace and then – whump – you are stopped in your tracks by a virus. As you make your way back, (as I did, am doing) your pace is slower. You can be frustrated by this change but you can also welcome this slower pace–utilize it. Use it to think about the possibilities of things. Thinking positively, thinking creatively, but maybe just a bit more slowly as you recover your strength. So, apologies for the posting gap, but that’s what’s happening. We’re not in hibernation, we’re in that space that occurs when intention and energy are not entirely matched up. Just as a start, let’s recap: We all recognize that supporting kids is important; building opportuni ties for kids, opening doors, ensuring that every kid has the opportunity for success. We know that you care about that and we do, too. But how do we do it? What exactly is Washington County Kids? What exactly do we do? 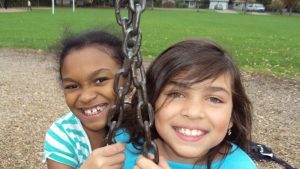 We are a consortium of individuals and organizations, collectively supporting the goal of providing sustainable funding to nonprofits that provide early childhood, before and after school, and summer programs, including nutrition components; programs for all children — and our mission is to ensure they have enough money to help all kids. We’ll continue to talk about the possibilities, that is to say the ways we can support this mission, and we’ll start with some conversations. Conversations are a great start because we have many partners in this mission. Hopefully, you’re one of them. Stay tuned. We care and it’s all about the kids. We are lucky to have some really incredible folks volunteering. Will you be one of them?